Star Wars Spin-off Duo Assemble for Photo with Darth! 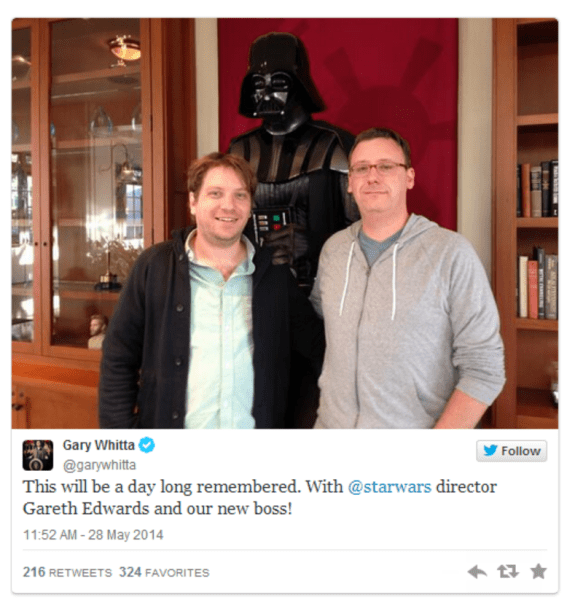 Star Wars Spin-off writer Gary Whitta and director Gareth Edwards met with their new boss. It is pretty to imagine what things are moving forward right now on the new film. We still do not have official confirmation on which Star Wars stand-alone they’re working on, but there have been unofficial indications from official sources the film will be about Boba Fett.